In that dream-like, pivotal scene of the Twin Peaks season 2 finale, Laura Palmer promised Dale Cooper that he would see her again in 25 years. Fortuitously, that exact amount of time transpired before the announcement of a third season came. Lynch of course sets the return of the misty mountain town 25 years after the shocking events of said episode. The reminder of this scene at the premiere’s beginning gives a feeling of events coming full circle, a sensation that crops up in the episode more than once. We are initially greeted by a familiar image, all be it with unfamiliar surroundings. We see Dale Cooper in a sepia room speaking to The Giant. The real Cooper is a warm greeting in an otherwise unwelcoming scene. This would be the last we would see of the real Cooper for almost half of the premiere. The good Coop’ features more heavily in the second half, again bringing some light amongst the unsettling fog that hangs over the whole episode. The occasional chiming-in of the iconic themes were also a welcoming embrace amongst the really dark and intense atmosphere. Speaking of the soundtrack, it was great to hear the main theme once again but I thought the new opening could have been better. I would have liked to see a re-creation using the same location shots as their modern versions. David Lynch and Mark Frost took a huge gamble with Dale Cooper’s fate in the premiere. It would have been very easy for them to use a deus ex machina to restore Cooper moments after his posesssion and get back to the old premise of the show. 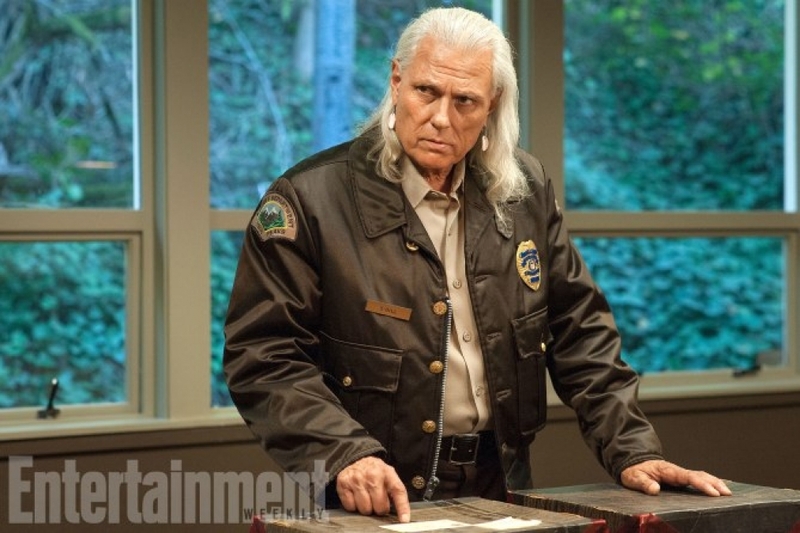 They could have done it all off-camera but instead, this season is about Cooper’s journey back to Twin Peaks from The Black Lodge. The ‘big bad’ of the series is his evil doppleganger. Fascinating for fans of the show. As previously mentioned, this season is a lot more ominous and intentionally undecipherable. In the original run of the show, there were frequent moments where Lynch was being deliberately obscure. The story journeyed into the typical Lynchian confusion. An example being close-ups of a seemingly innocuous object with throbbing music in the background. Other times, characters are speaking in a broken-up, guarded way that lacks explanation. In the premiere for season 3, this lasted for the duration. Not only that, we get a far darker, more omonious tone this time around. The themes and the story, if it were possible, are much more serious. With it, the show becomes much more explicit. I found the scene in which a spirit comes out of the glass box particularly unnerving. Nevertheless, it was fascinating and I loved how the box came back into play later on. 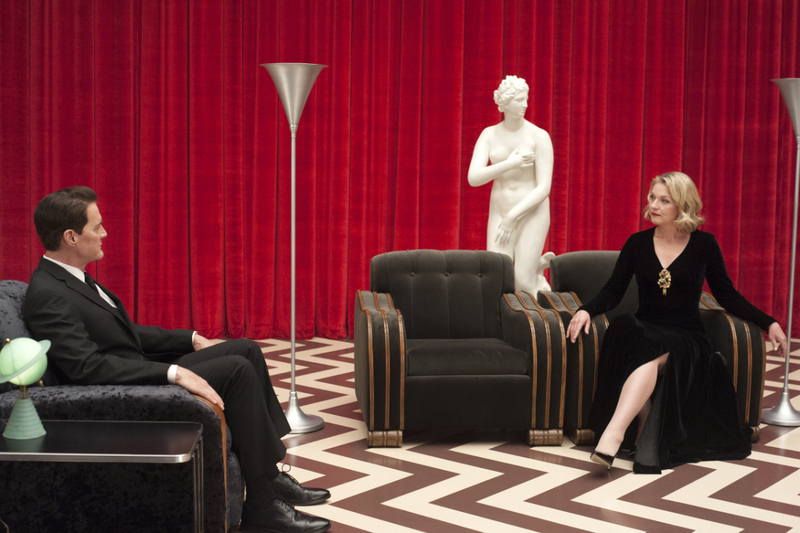 The scenes in the second half that involved Cooper in The Black Lodge were my favourite of the whole episode. I really like the new elemental aspect of The Lodge. The visual effects in those scenes in general were superb, particularly when Cooper transports to the box/cage. Finally, I enjoyed the final scene in the bar. Simply because, in keeping with the theme of the episode, it brought things full circle. 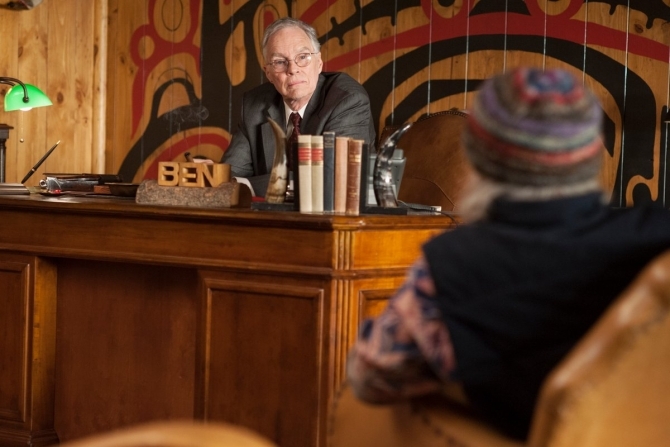 It returned to the origins of Twin Peaks. Showing the side of the show once again that is essentially a soap opera about the relationships between the townsfolk. For more TV shows, movies and combat sports, subscribe to GJC Reviews!